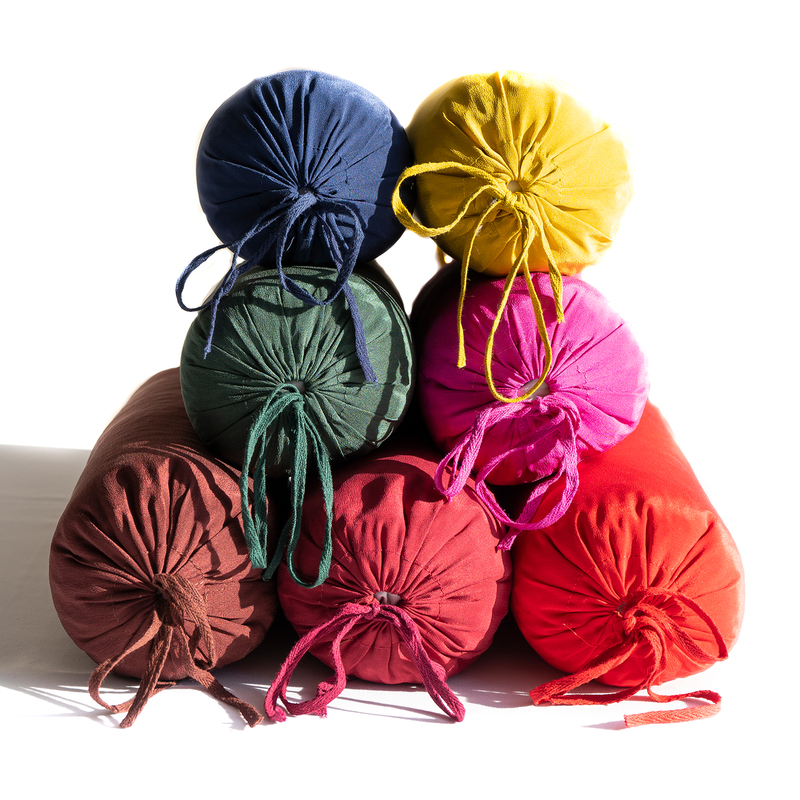 Our spa-quality Silk Neck Pillow features an interior pillow that is filled with soft, organic, and all-natural buckwheat hulls. The pillow casing is made entirely of delectably soft silk; each end ties together in a neat bow, making removal of interior pillow extremely easy so you can hand wash. This is a must-have item for relaxation, meditation, restorative yoga, and comes in handy in savasana. Our Neck Pillows are the perfect size for supporting your neck, and you will find them useful lying on the couch, on long flights â€” even in bed! If you suffer from neck pain, our silk neck pillows will aid in dissipating that pain. I loved this pillow so,much that I ordered a second one. Made my neck pain go away. It's great for using with poorly designed head rests on trips as well. Nice colors and well made. Well made and nice colors! Supportive, yet comfortable, this neck pillow is a pleasure to use! These comfortable neck pillows are great for class and at home. Provides head,knee support or elevation for any part of the body. Accommodates for different body types. This pillow is exactly what I wanted except for the size, which is a little too small. I love the fact that is has a zipper which allowed me to remove some of the buckwheat hulls and add some lavender. Overall I recommend it. I like my yoga pillow nice size and does it's job well in support of my neck during my meditations in bed. Quality oil average as the zippered bag and cover are both thin and appear cheap. But, the neck pillow suits it's purpose.